The Australian Research Council (ARC) and National Health and Medical Research Council (NHMRC) policies now require funded research to be made publicly available. This follows similar requirements by international funding bodies e.g. the National Institutes of Health (US) and the Wellcome Trust in the UK. 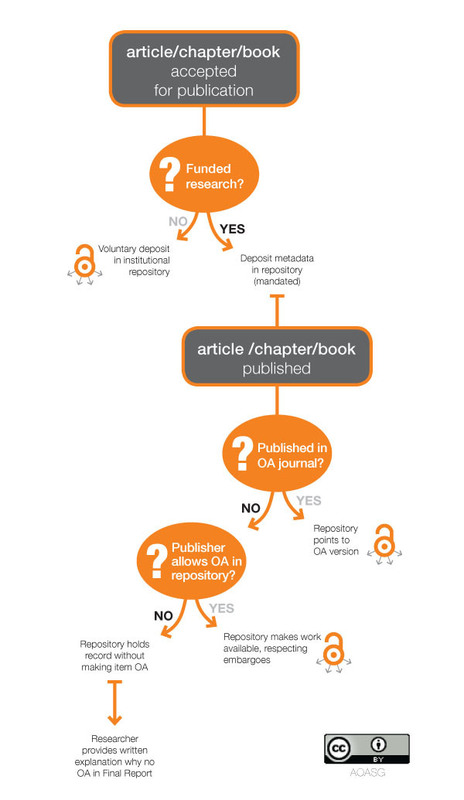 Publications arising from funded research must be deposited in an open access institutional repository within twelve months from the date of publication. Resulting from Funding Rules and Agreements released after 1 January 2013. An appropriate version of the publication, when available. Published Version-of-record including publisher’s formatting, logo etc. 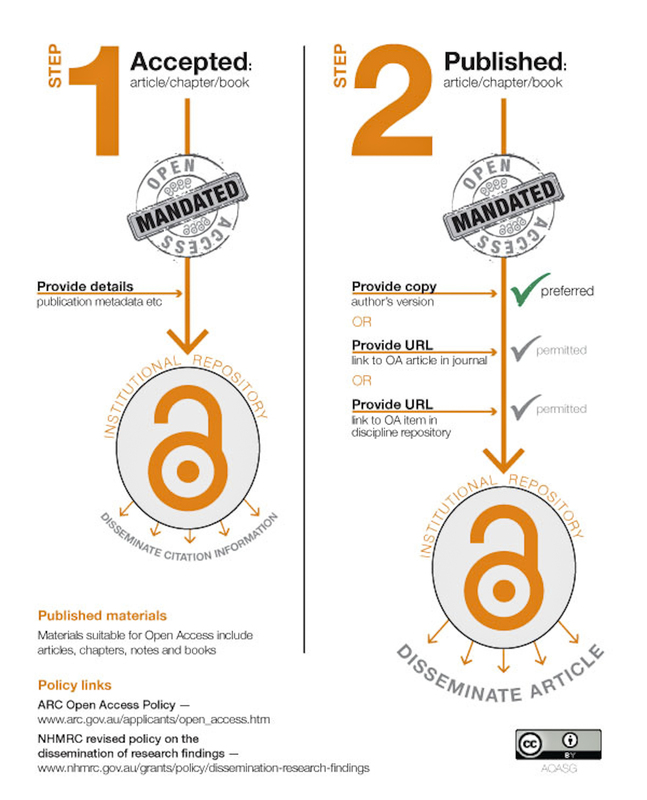 However, the publisher's policy on open access will determine which version should be deposited. There may be legal or contractual reasons that limit complying with the mandate. The NHMRC and ARC are aware that initial compliance may be affected by pre-existing publishing agreements and the policies provide advice in this case. CDU Library will check that records in eSpace comply with publishers’ requirements for providing open access to either published or manuscript document versions.